Our R&D team has been working diligently to improve the WebCenter Sites Connector and version 1.1 has arrived! 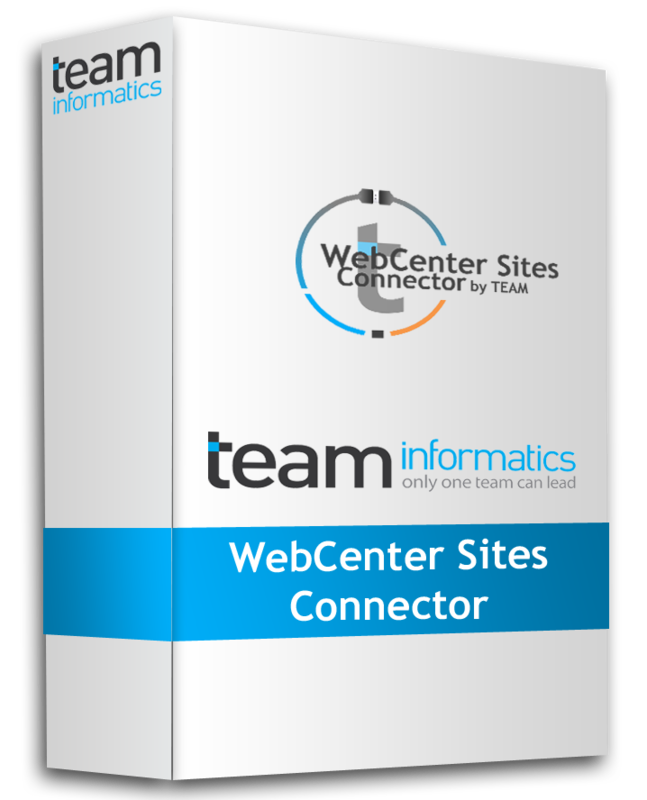 The TEAM WebCenter Sites Connector allows you to leverage the Oracle WebCenter Content enterprise content management platform and deliver centrally-managed content to all your WebCenter Sites deployments. By utilizing the WebCenter Content platform behind WebCenter Sites you can simplify and automate the entire process of authoring, site design, content publishing and deployment, content targeting, site analytics and optimization, and user-generated content for your websites. The newest features included in version 1.1 focus on scalability and compatibility with the latest WebCenter releases. The replication rate from WebCenter Content to Sites can be fine-tuned to increase transfer rates during times of lower traffic or during batch loads. Administrators can also choose to perform the replication immediately or wait for the a scheduled time. Flexibility to extend it to map Site Studio webpages to Sites assets. See the Product Specification Sheet. If you would like to combine the power of WebCenter Sites with WebCenter Content contact us today! This entry was posted on Wednesday, April 10th, 2013 at 1:11 pm and is filed under Oracle, TEAM Products, WebCenter Content, WebCenter Sites. You can follow any responses to this entry through the RSS 2.0 feed. You can leave a response, or trackback from your own site.